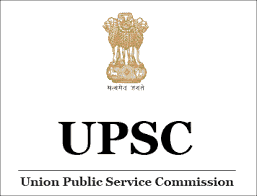 UPSC Jobs Recruitment Notification 2019.Union Public Service Commission inviting applications for the positions of Assistant Commandant.Interested and Eligible candidates can apply for the positions. Last Date for Submission of Application is on January 28th, 2019. 2. A candidate must hold a Bachelor's degree of a University incorporated by an Act of the Central or State Legislature in India or other educational institutions established by an Act of Parliament or declared to be deemed as a University under Section-3 of the University Grants Commission Act, 1956 or possess an equivalent qualification. 1. The candidate is advised to be very careful while indicating preference for various services/ forces. No request for additions/alteration in the preferences indicated by a candidate in his/her application will be entertained by the Commission. 2. The candidate is also advised to indicate all the services/forces in the order of preference in his/her application form for which he/ she is eligible. In case he/she does not give any preference for any services/forces, it will be assumed that he/she has no specific preference for those services/forces. If he/she is not allotted to any one of the services/ forces for which he/she has indicated preference, he/she shall be allotted to any of the remaining services/forces in which there are vacancies after allocation of all the candidates who can be allocated to services/forces in accordance with their preferences. 3. A candidate will be eligible to get the benefit of community reservation only in case the particular caste, to which the candidates belongs to is included in the list of reserved communities issued by the Central Government. If a candidate indicates in his/her Application Form for Central Armed Police Forces (Assistant Commandants) Examination that he/she belongs to General Category but subsequently writes to the Commission to change his/her category, to a reserved one, such request shall not be entertained by the Commission. 4. While the above principle will be followed in general, there may be a few cases where there was a gap not more than 3 months between the issuance of a Government Notification enlisting a particular community in the list of any of the reserved communities and the date of submission of the application by the candidates. In such cases the request of change of community from general to reserve may be considered by the Commission on merit. 1. The candidates applying for the examination should ensure that they fulfill all the eligibility conditions for admission to the examination. Their admission at all the stages of examination for which they are admitted by the Commission viz. written Examination, Physical and Medical Standard Tests or Personality / Interview Tests will be purely provisional subject to their satisfying the prescribed eligibility conditions. 2. If on verification at any time before or after the Written Examination, Physical and Medical Standard Tests or Personality / Interview Tests, it is found that they do not fulfill any of eligibility conditions; their candidature for the examination will be cancelled by the Commission.